Shallo, Galluscio & Bianchi, CPAs, P.C. specializes in the accounting needs of nonprofits and offers a full array of services, including tax compliance and nonprofit reviews, targeted specifically for this focus. Our firm is pleased to serve a variety of nonprofit entities from educational, charitable and scientific organizations to private foundations and more. The lifespan of a non-profit involves transition: from startup with a volunteer team to a growth period and the addition of paid staff, from a small organization with a particular focus to a potential merger with another organization that provides similar services. Our firm will help guide your non-profit through these steps and ensure each phase is handled smoothly. Founding a non-profit is a very different process than starting a normal business. There are very specific guidelines for filing as a tax-exempt organization, which can be daunting, especially while addressing all of the issues involved with the startup process. Shallo, Galluscio & Bianchi, CPAs, P.C. helps nonprofit organizations understand the often quite complex tax code with regard to nonprofits and maintaining compliance with the regulations governing them. Our extensive experience with nonprofit organizations will help guide you through all of the forms and registrations necessary. We can also determine if your non-profit qualifies for Federal tax exempt status as a charitable organization. 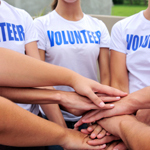 Transitioning from an all-volunteer staff to paid employees is also an aspect of starting a non-profit organization. Cash flow considerations change significantly when workers need to be paid and provided benefits. The new complexities require a more carefully monitored financial structure and attention to complying with appropriate tax codes. The Nonprofit Revitalization Action of 2013 was designed to reform the statutory requirements of governance of nonprofit organizations, expand the Attorney General’s enforcement powers, and modernize and clarify some of the more mechanical and procedural New York rules applicable to nonprofit organizations. 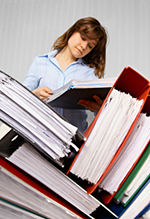 Our firm will assist your non-profit with these requirements to ensure it is compliant. In accordance with the Nonprofit Revitalization Act of 2013, smaller non-profits organizations, those with revenue less than $250,000 per year, are no longer are required to have neither a review nor an audit of its financial statements. It is essential for nonprofit organizations to create a clear list of internal controls, policies and procedures necessary for continued compliance and efficiency. Shallo, Galluscio & Bianchi, CPAs, P.C. can advise you on best practices for your organization and create an environment conducive to success. Maintaining a high standard of bookkeeping during the year can ensure an easier and more efficient tax preparation process. Shallo, Galluscio & Bianchi, CPAs, P.C. provides complete bookkeeping services for nonprofit organizations and offers monthly or quarterly reporting to keep you well informed of your financial status. Non-profit maturity means addressing more complex issues with your organization. Depending on its size, your non-profit may require an exhaustive audit, which needs to be performed by an independent auditor. A larger organization also means bigger budgets and a greater attention to all of the components of budgeting and cash flow management. Non-profits with annual revenues of $250,000 per year but less than $500,000 are required to have an Independent Accountant’s Review of its financial statements Non-profits with annual revenues greater than $500,000 are required to have an Independent Audit of its financial statements. In 2017, this amount increases to $750,000 and in 2021, it increases to $1,000,000. Shallo, Galluscio & Bianchi, CPAs, P.C. provides these services for nonprofit organizations. Non-profits may submit to voluntary audits to assure interested parties about the quality of their financial management. Shallo, Galluscio & Bianchi, CPAs, P.C. will evaluate your nonprofit organization and determine the best approach according to your unique needs. Our firm can help you prepare an annual budget and forecast cash flow to avoid insolvency. The particular nature of your organization, including cash sources, can be different than a standard business. Our experience working with nonprofit organizations gives us the ability to understand these varied considerations and come up with a plan tailored for you.